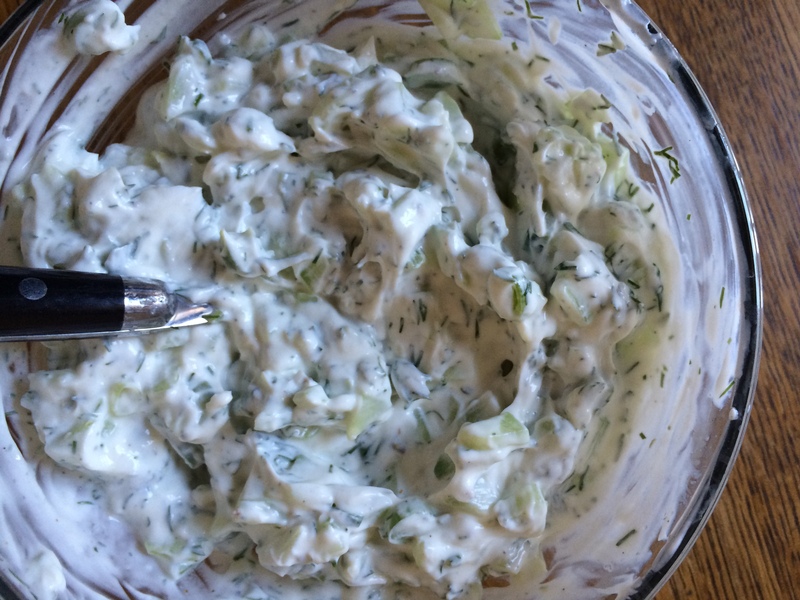 Tzatziki sauce is a beautiful combination of strained Greek yogurt, cucumber, garlic, dill, spring onion, lemon juice, salt, and pepper. It is traditionally served alongside grilled meats, and makes a wonderful addition to pita and hummus, or a crudites platter. It is cool, crisp, tangy, and refreshing. 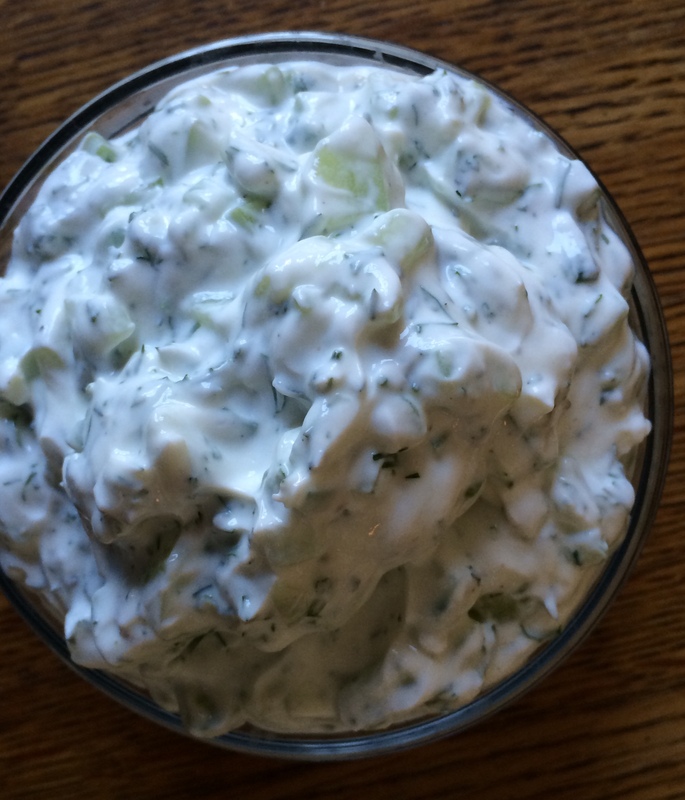 If you have never made homemade tzatziki sauce before, give it a try. This recipe is restaurant worthy. Strain yogurt in a fine metal strainer or coffee filter for a couple of hours. This will remove some of the excess liquid and will thicken your yogurt. Transfer yogurt to a small bowl. 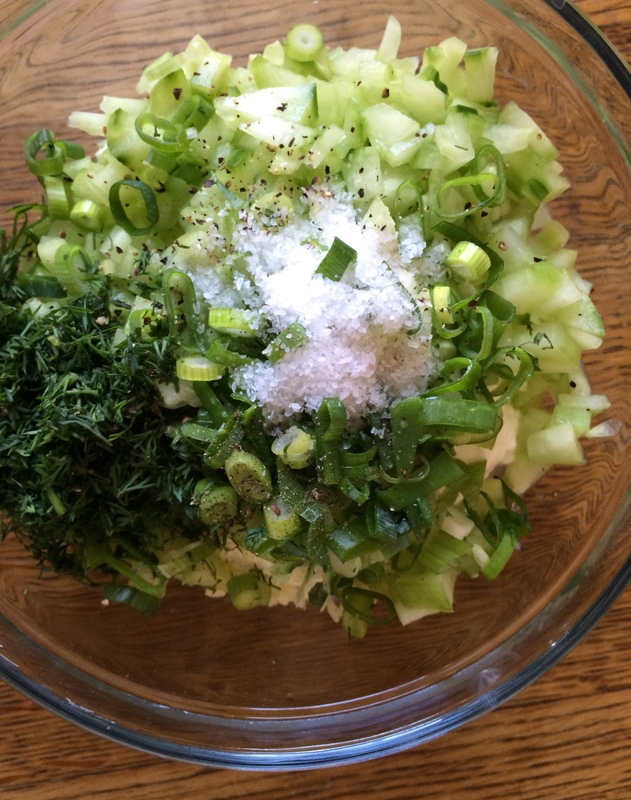 Add the rest of the ingredients, mix well, and refrigerate for 1 hour before serving. 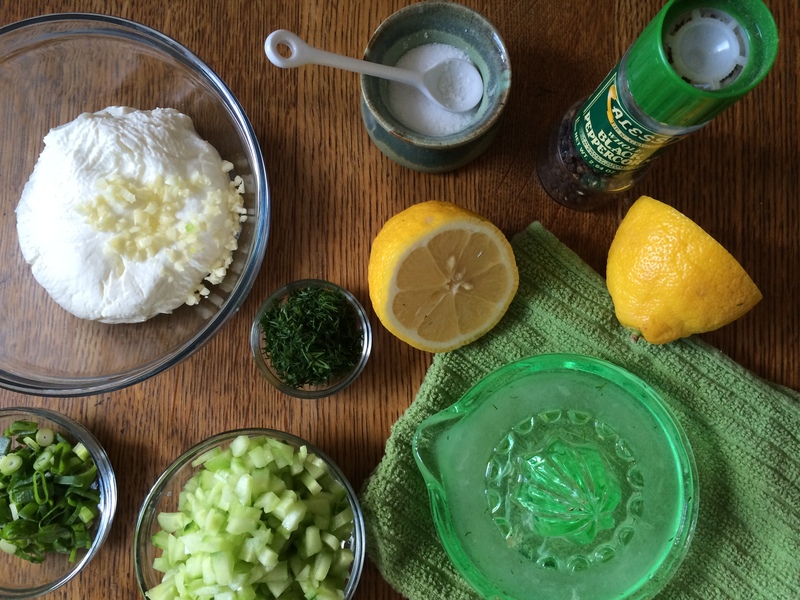 Note: Tzatziki sauce will stay fresh in your refrigerator for up to 5 days.